This sweater is made with “New Basic” yarn from Lion Brand and I’m absolutely loving the color choices. It’s crocheted almost entirely with the moss stitch (see my picture tutorial here), which is SO EASY. I love how it worked up with the variety of light and dark browns, creating the illusion of intricate colorwork. 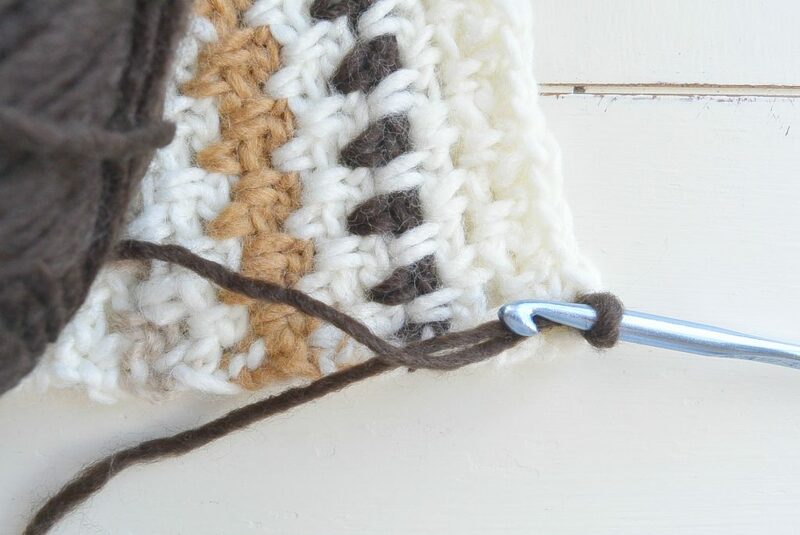 I’ve shared a picture tutorial for this stitch, so if you’ve never tried it, check out the tutorial and try it out on a little swatch. You should find that it’s enjoyable and super simple. 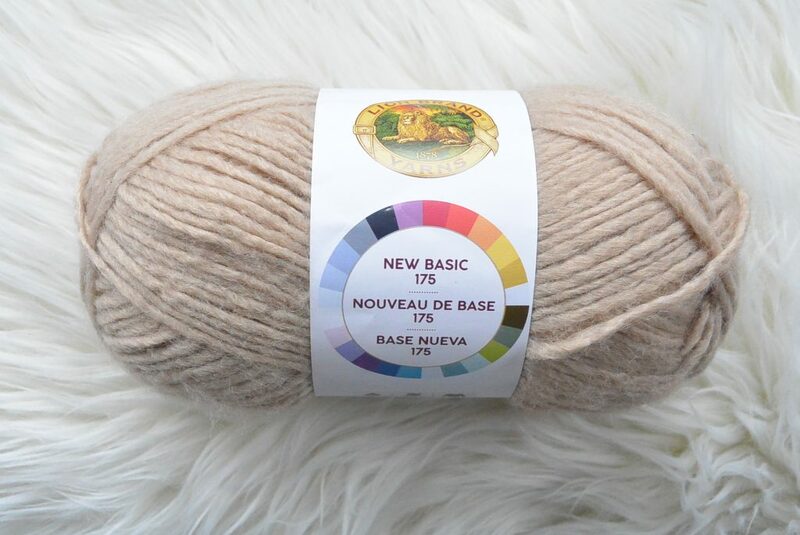 The New Basic yarn is very nice to work with, and my favorite part about it is the array of colors! It’s very soft as well – much like Scarfie if you’re familiar with that yarn. 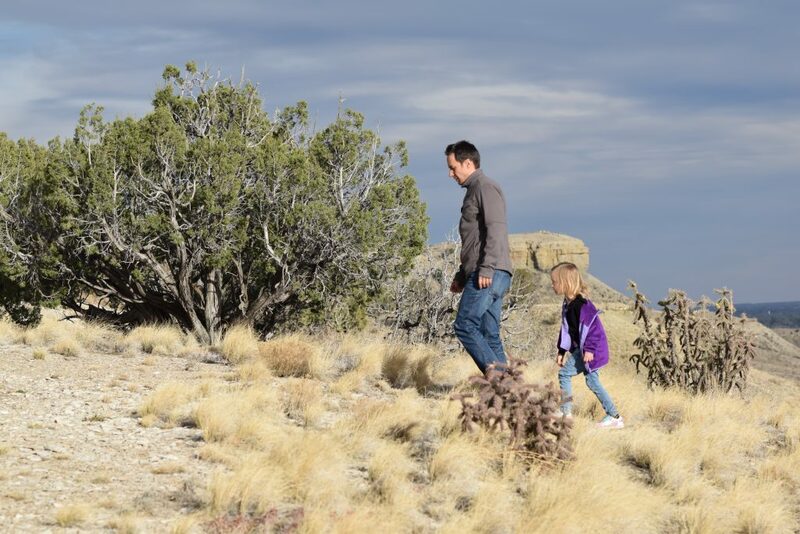 My family and I had a great time hunting for fossils near my aunt and uncle’s home. It was the perfect time to wear my new sweater and snap some pics for the blog post at the same time. I promise to not overwhelm you with nature pics, but you know I have to sneak at least one in here (more at the end of this post – he he!). 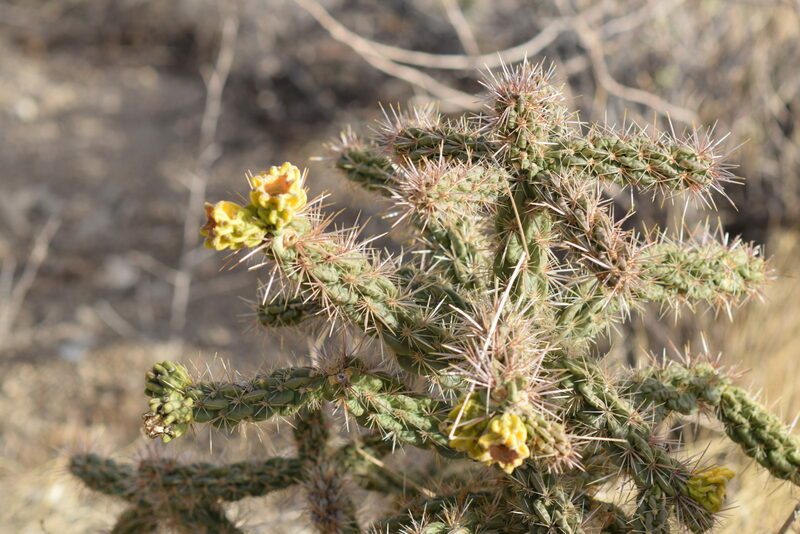 Beautiful cactus, but don’t touch. 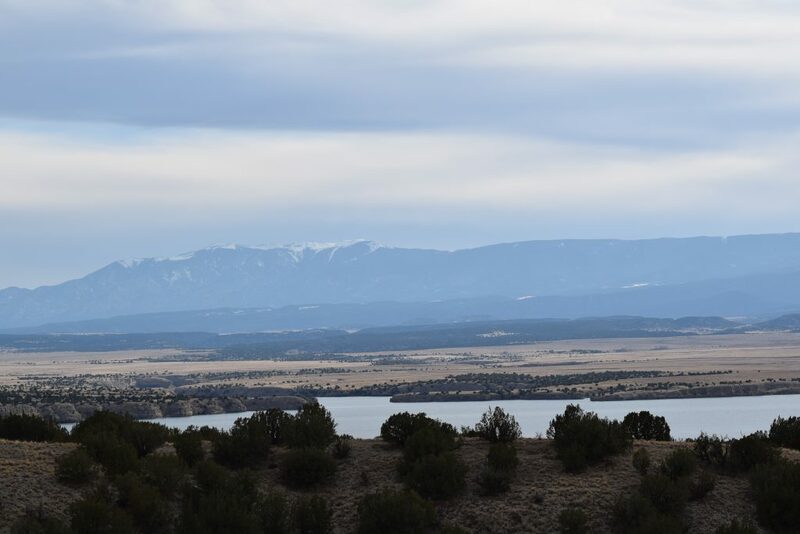 🙂 Thanks to my Aunt MaryAnn and Uncle Lee for inviting us over and allowing us to explore in their “backyard”. While the stunning color work in this sweater appears complicated, it couldn’t be any easier! By using four colors of yarn and making simple color changes, this beautiful sweater works up very easily. The moss stitch draws the eyes to the individual stitches which look very similar to intricate knit stitches. 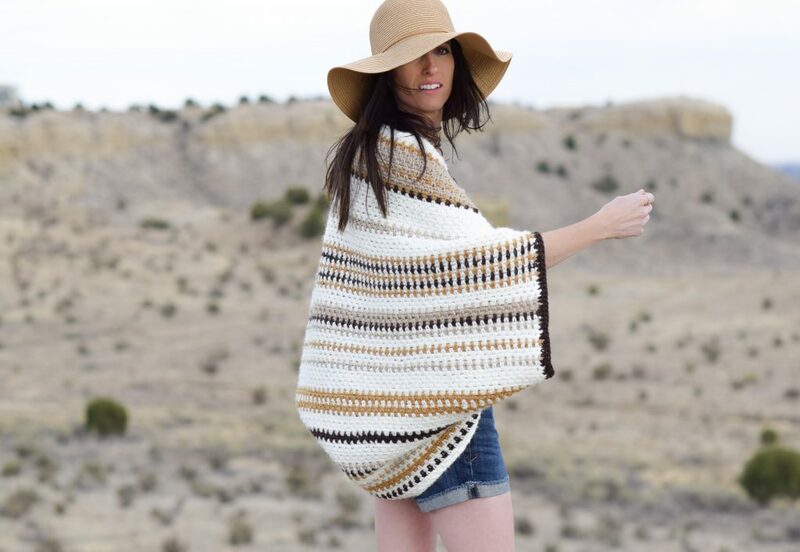 The boho feel and incredible color detail ensure that this piece will be noticed on the beach, out on the town or wherever your travels take you. Some people store magazines in their coffee table. 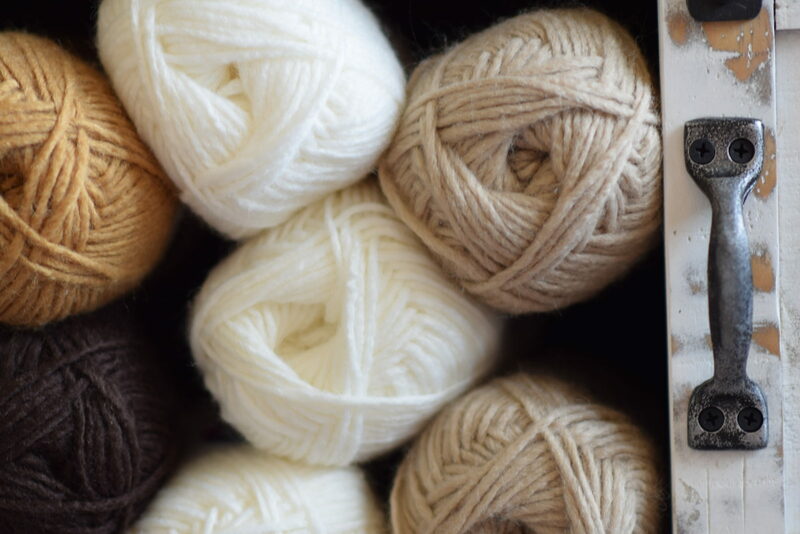 Us yarn addicts store yarn. Scroll down for the free pattern or you may purchase the printable, ad-free, PDF version which includes the full moss stitch picture tutorial on ETSY HERE. When piece is laid flat on the ground, measurement from end of sleeve to end of opposite sleeve is approximately 35” inches. Top, center neck of piece to bottom of piece measures approximately 31” inches. *Check gauge before crocheting to ensure correct sizing. 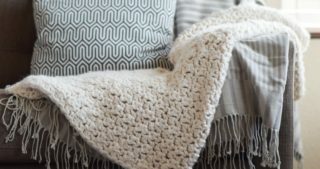 I am a loose crocheter! This means that if you crochet tighter than I do, your piece will turn out smaller. FOR BEST RESULTS, MEASURE YOUR PIECE AFTER A FEW ROWS TO ENSURE IT IS APPROXIMATELY 33″ inches LONG. AFTER ADDING THE EDGE AT THE END, IT WILL BE 35″, MATCHING THE SIZE LISTED. *If you find that your piece turns out small due to a difference in gauge, simply add more rows. This can be done to lengthen the piece. In addition, you may make it wider by adding more rows to the final espresso edge section. BLOCKING WILL ALSO HELP MAKE THE PIECE LARGER IF NECESSARY. **I’m sometimes asked how to make these blanket sweaters larger. 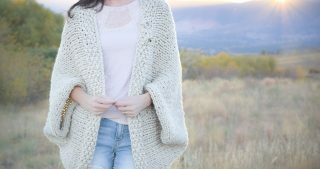 With this sweater, you will want to start by making a longer chain, but keep an odd stitch count and crochet for more rows. Of course by doing this you will use more yarn than what is listed below. 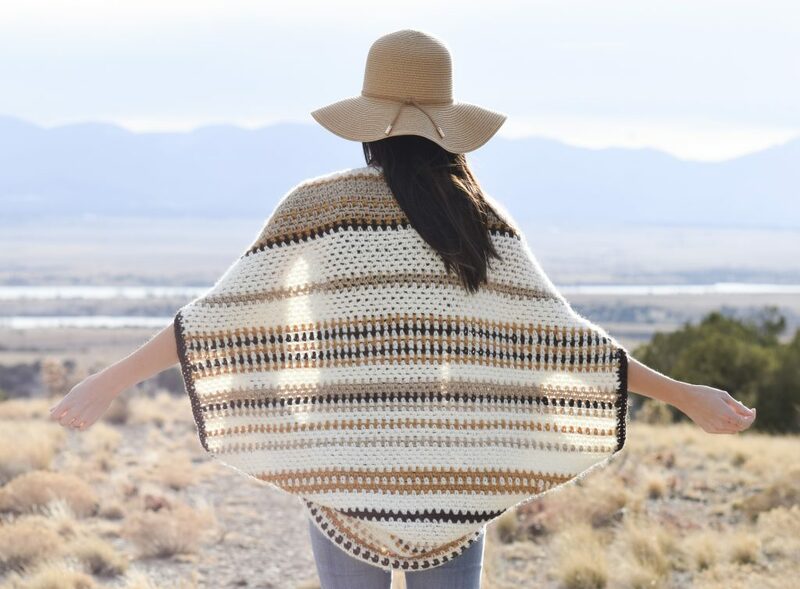 I don’t have specific sizes because it is a shawl-like, blanket type shrug that is versatile and fits many sizes. 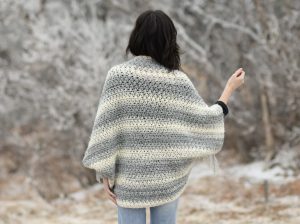 This blanket sweater is created with the simple moss stitch. The moss stitch is made up of a series of single crochet stitches and chain stitches. 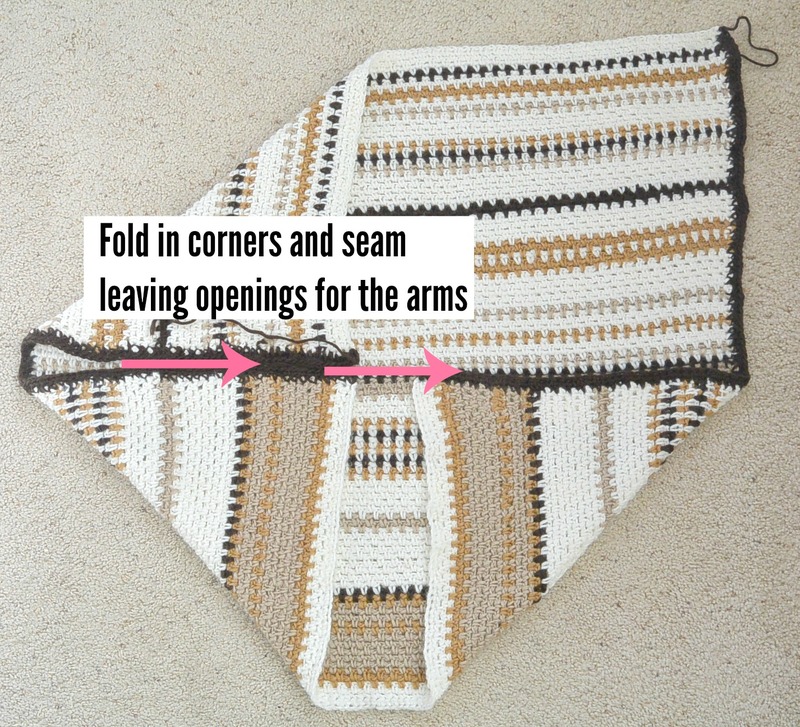 You will simply crochet a rectangle following the pattern below, then fold and seam to create the arms. For this pattern, you should know how to change colors at the end of a row. 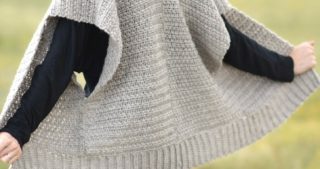 *If you have never tried the moss stitch, you might want to practice on a small sample first before attempting the sweater. Simply chain an odd number of stitches and follow the stitch pattern below. **In each of the following rows until you reach the final espresso edge section, repeat row 3 with the indicated color for each row. Next, pick up the Espresso yarn on corner of blanket. Single crochet evenly along each short side of the blanket (2 sides). Make two rows of single crochet stitches along each side. Tie off and weave in ends. 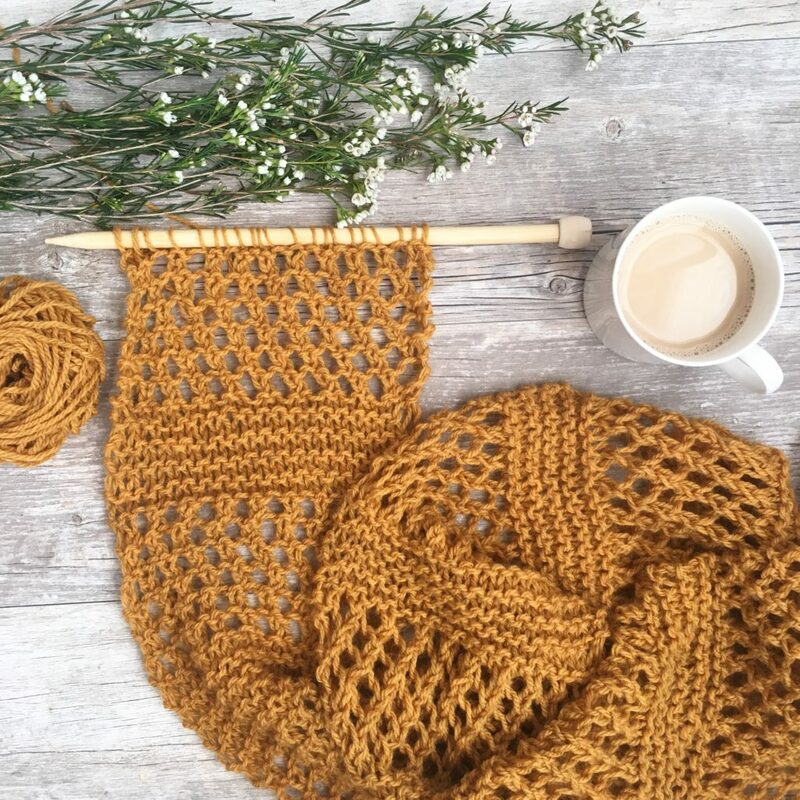 Photo Above: Attach Espresso and make two rows of single crochet stitches along the two short ends of the blanket sweater. **Block if necessary to shape. Lay piece flat, lengthwise (hot dog wise). Fold in corners as pictured below. 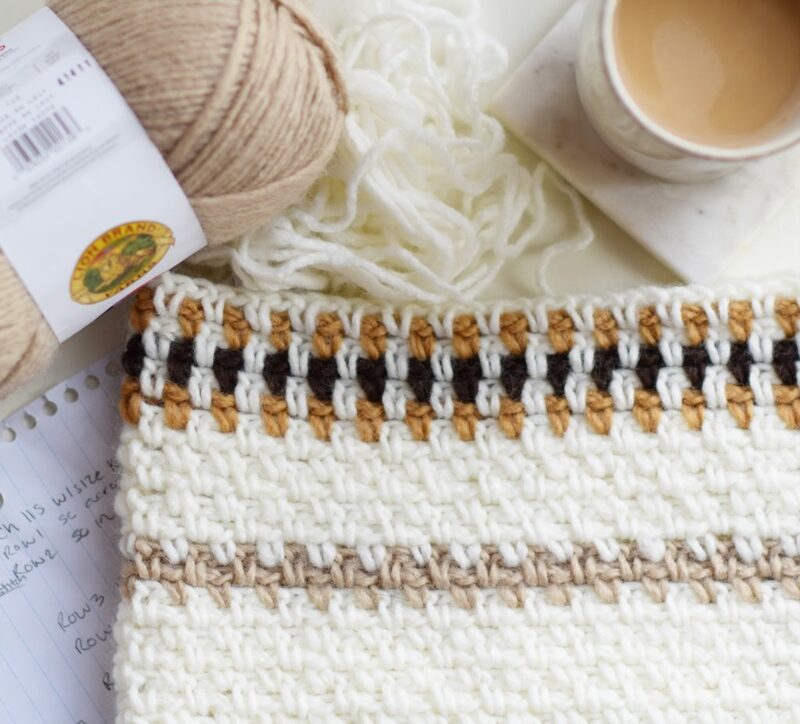 Using a length of Espresso yarn, seam with a whip stitch or slip stitch seam from the inner corners outward for approximately 7” inches. This will leave an opening for the arms on each sleeve. Tie off and weave in all ends. Looking for fossils and rocks. 🙂 My loves. I like this pattern a lot. I made the Classic Stripe Knit Blanket Sweater to pattern. It was much too small for me, but I have a friend in mind to give it to. Just for a note: I knit the body and sewed the arm sections as the pattern…THEN, I picked up stitches around the inside and knit the striped part in the round to the width and number of rows you had. It really finished off great and I didn’t have to sew ends together, which I hate to do. Then, I added a 4-stitch I-cord at the edge which REALLY made it finished and it has a very sturdy edge now. I really think it turned out great. I did it in Navy with navy and white striping. Thanks for the pattern. I will now attempt to do one in MY size. Sounds beautiful Jo! Thanks for sharing what you did with that knit version. I’m glad it worked out for you to gift it, and I hope that you can make it in your size and be happy with it as well! I was so happy to come and get the pattern and oh surprise, is crochet and I have no idea how to do that, so please bring the same one for the only ones that know hot to knit; is beautiful but I just can’t make it. I’m not sure that I’ll get around to making a knit version, but I will keep it in mind! I’m so happy that you like it. 🙂 Thanks for all of your support! Beautiful, beautiful sweater. My proofreader eye can’t pass “cacoon”; it’s “cocoon” in this context. A cacoon is an African nut. Love your work, love your blog. I love the new yarn and your new project. I’ve crocheted a blanket sweater myself. The sleeves in the pattern I used had the openings smaller than yours, I think yours make the sweater look nicer. Thanks for sharing. Love, love, love it! 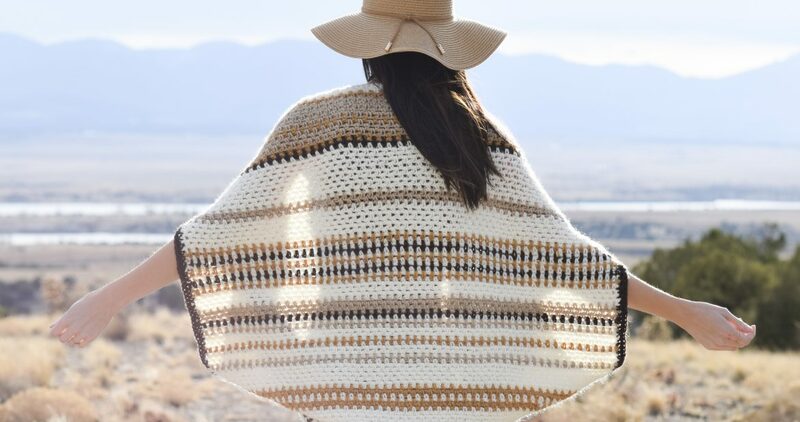 The colors are just so perfect together and give the cocoon such a vacation feel. I can totally see it in Sedona, AZ. Totally! It would be PERFECT in Sedona!! Thanks for the kind words Trish. Dear friend my name is jap . I live in Thailand. Thankyou very much for your patterns. It is so beautiful.Love you very much. Hi Carol! How sweet of you!! 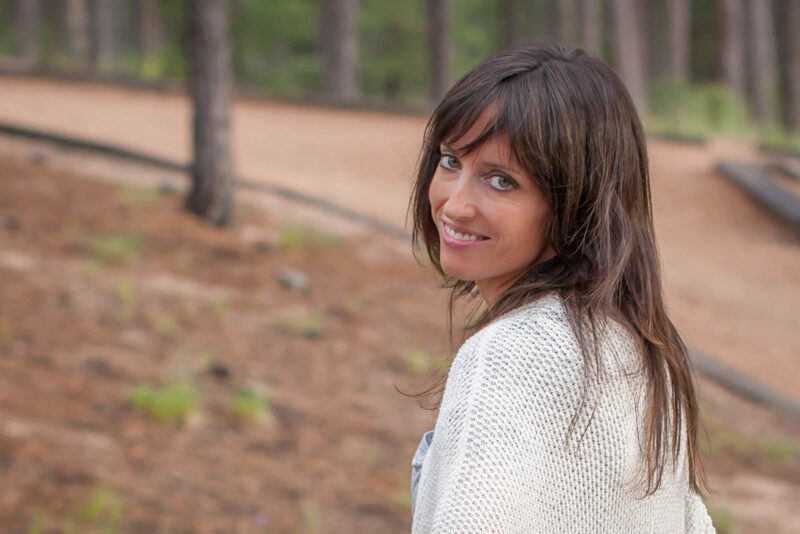 Thanks so much for your sweet comment….I LOVE meeting people like you through this blog. You’re welcome and THANK YOU for being so kind! Beutiful! just found your website . May have to try this! 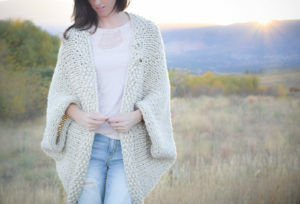 I have bought shawls like this and love them but never tried to crochet one. Thanks for the inspiration. Hi Becky! That’s so cool that you’ve seen shawls like this. You should definitely give it a try! You’re welcome, and I’m so happy that you like it! This is a beautiful design, I love the colors and the moss stitch! Thank you for sharing the pattern! 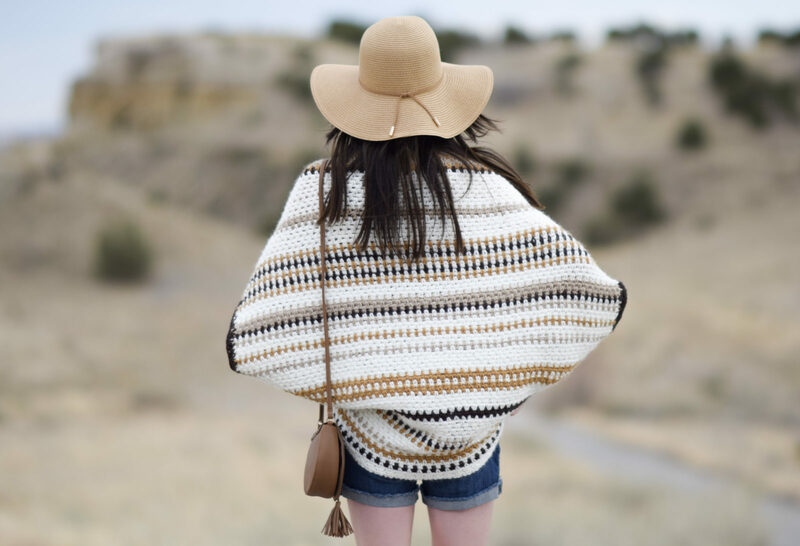 I really like this style of blanket sweater, and your design is so lovely and modern. I really appreciate it and you’re welcome for the pattern. It really was a pleasure to make! Have a great day! This is really beautifulI love the colors! Thank you for the pattern! You’re welcome and thank YOU for taking the time to let me know that you like the colors! I love this pattern, I’m new to crocheting and was wondering what is your method of joining the different colors? I find that how I’m doing it, is leaving a bunch of tails and it doesn’t look at clean as yours does. Any suggestions are more than welcomed. 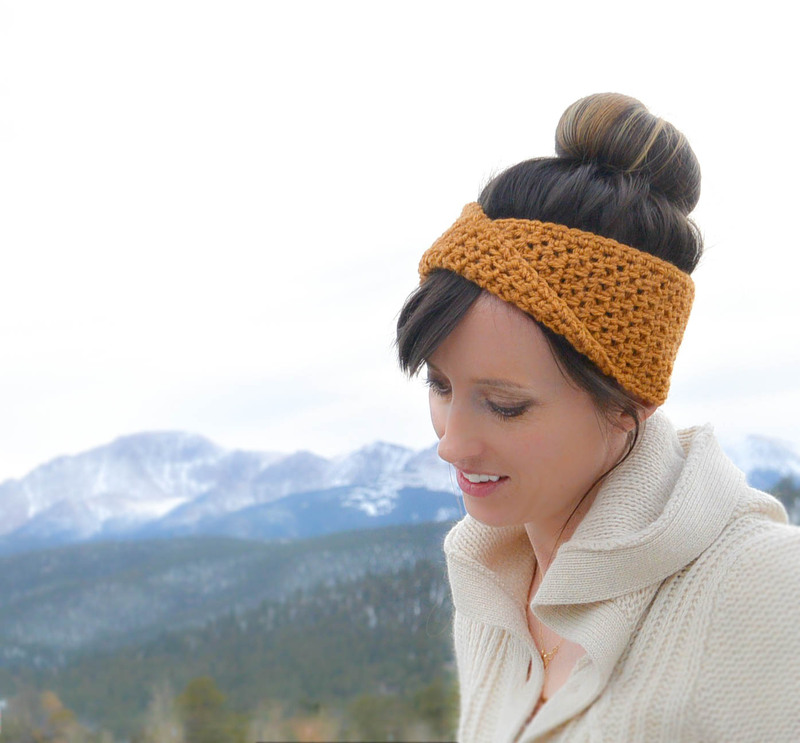 Gina, try crocheting your tails under your stitches, or weaving them in as you go. I’ve done both in my crochet projects. Usually I’m quicker with responding but my daughter’s been ill and it threw me for a loop! I simply take my tail and crochet over it so that there aren’t any ends to weave in at the end (besides the ends which might be left from new skeins etc.). Just like Sharon mentioned, it’s an easy way to cover your ends and avoid a lot of work when you are finished. I hope that this will help you! 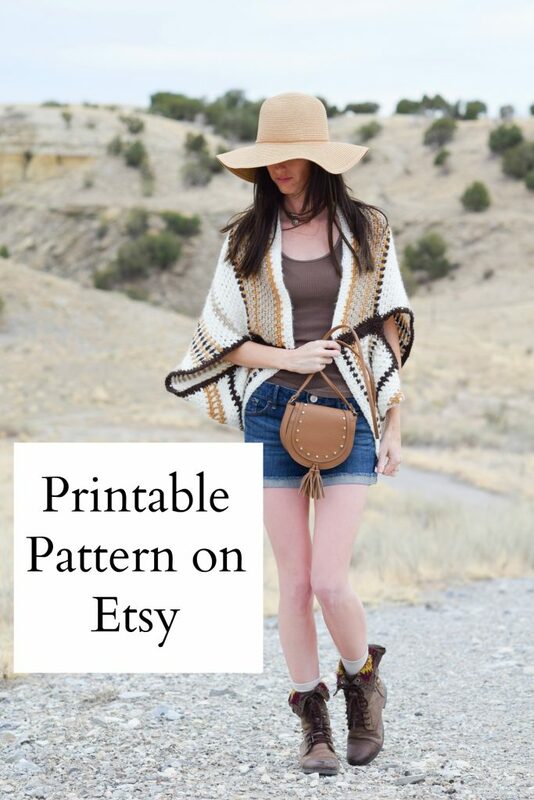 Thanks for the kind words about my patterns! I have so much fun meeting ladies like you and sharing these projects. I appreciate your support! Jesica: is there any chance you could do a tutorial on changing colors at end of row? I hadn’t thought of that, but will keep it in mind Rinda! Hi! You can of course use a different yarn, and a lighter weight yarn, but you will have to greatly modify the pattern. You would have to make a swatch, check your gauge and then adjust to make the chain the correct length with whatever you choose to use. It must be an odd stitch count for this particular stitch pattern to work out. If you’re experienced and brave, it is possible! You’d also have to add more rows to the blanket sweater, which would change the look a bit as well. Thanks for asking! This is so beautiful. I was thinking of making it using cotton. But I don’t know what to use. Can you suggest something to replace the wool? At the moment I’m making the blanket you suggested earlier. Will post pics once ready. Because this is a fairly chunky, worsted weight yarn, I’m having trouble coming up with a good cotton substitute for you to use. It would have to be fairly chunky and I simply haven’t seen a cotton like this before. I hope that you’re enjoying the blanket! I’d love to see pics for sure. Thanks Liz! Made this and LOVE it. One problem tho, I am a big girl and even tho my swatch was right on (went up a hook size) it was a bit tight. Have a girlfriend that is gonna love it. Making one bigger for myself, adding 30 stitches in width and 25 rows. Did mine in Herrschners Worsted 8, actually making both with 3 skeins of Aran, one each of Pecan, Walnut and Bark. Hi Casey – The colors that you used sound wonderful! I am a loose crocheter no doubt, but the gauge is correct. This yarn is on the thick side of worsted weight yarns. I’d say it’s almost a chunky yarn so I’m wondering if that is the issue as well. I’m going to make more notes about how important it is to crochet loosely and measure gauge and even after a few rows to make sure it’s coming out right. If it is small in the end, you can always add extra “free hand” stripes to the bottom and more to the edging. It’s pretty easy to correct, thank goodness! Your work is very well done! Hmmm, to make it taller you simply crochet more rows. However, the pattern is written for a women’s size? Did you adjust the initial chain for a 3 year old?